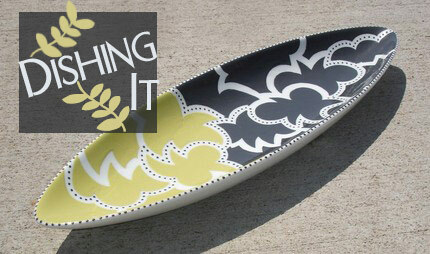 This large oval dish by Dishful of Oodles is just a delightful piece of artwork. It's a wonderful piece for entertaining or just serving up something delicious to your family on special occasions. With it's handpainted design in deep slate grey and chartreuse, this dish is surely one that will make you want to cook just to put it to use. It measures 14" long x 4.5" wide with a beautiful glossy finish. You MUST see the FULL VIEW image of this dish! So...you need a new bag AND you want it to be different. What are you going to buy? 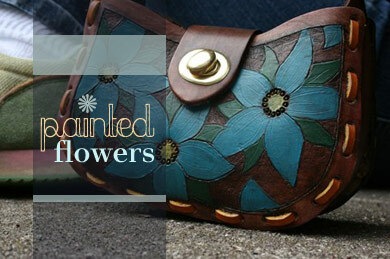 This cute bag, hand tooled and painted by Caly at Nightshade's Art, is a great one for consideration. It measures about 6.5" wide and about 4" deep. There's also plenty of space for all your essentials. Caly gives you the option of buying this bag with a full purse strap or a small strap. Either way, this is one bag that's sure to make you smile just because. 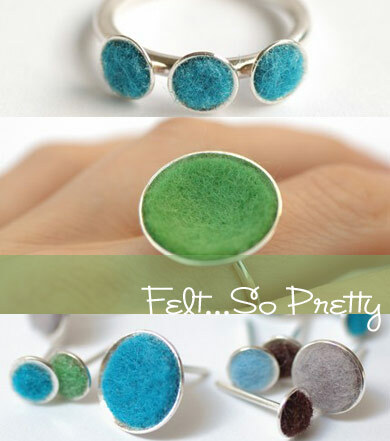 Colleen Baran is offering some pretty jewelry in her new Felt Series. The jewelry, including earrings, rings, and necklaces, is quite lovely. The pieces, ranging from $39 to $74, would be great additions to any jewelry collection for both the young and young at heart. 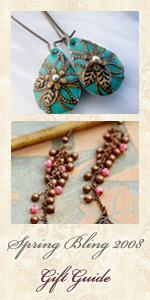 Colleen Baran Jewellery is a collection of handmade, one-of-a-kind and limited edition contemporary jewelry. The designer, a Canadian multidisciplinary artist, has exhibited in 11 countries and published internationally and was recently featured at 'Spring Market' at Blim. This handmade handbag by Melissa Moze seemed like the perfect thing to feature in my newest post after being "away" for a little while. Just looking at this bag makes me wish I was on a cruise somewhere. (*sigh) Yes, I need a vacation and this bag is just a reminder of how much I need to get away. 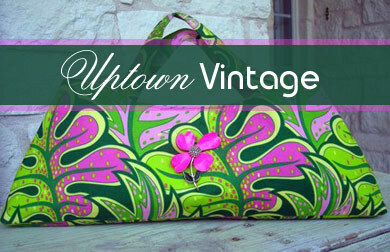 The tropical leaf print fabric from the Uptown Handbag pattern by Amy Butler is so fun. The pink, green, and yellow colors definitely make this bag perfect for Spring and Summertime. The handbag is also adorned with a huge hot pink vintage flower pin, which compliments this bag tremendously! Go visit Melissa Moze today for some handbags and accessories with vintage flair! Comcast has hooked everything up in our new place and I will be posting some new stuff shortly. 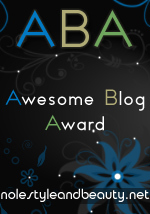 Please check back to see who will be featured! 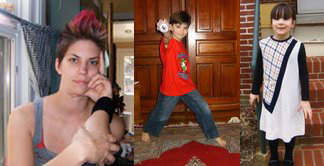 To celebrate mothers today, we are featuring some Indie Mommas. Be sure to check out their fun facts and shop links! Fun Fact: I recently ate a nacho cheese flavored meal worm on my son's field trip to an insectrium. Fun Fact: I don't have an inspiration board right here so I create the next best thing. I create a virtual one. Now I track so many blogs, it is scary. My RSS reader last stands at 144. Eeeps. Fun Fact: I cook everything that we eat from scratch. Fun Fact: Even though I am a dog person, I have 3 cats and no dog. Some Interesting Info: While most normal mom's to be might take up knitting booties I put my screen printing skills to use printing custom onesies (my baby won't be caught dead sporting blues clues or sesame street), and this week I fired up the 'ol sewing machine to create a quilt out of all of my yummy scrap fabric for my little chickie. My hopes are for my little girl to have as much appreciation for art and the DIY craftiness lifestyle as my husband and I do. Odd fact about me? My husband & I both work together as graphic designers. We met in college and years later while I was working in publishing for a horticultural supply company we had an opening for another designer. I convinced my HR manager that Nate, my husband-to-be, was the perfect person for the job. After a little convincing that we could work together day in and day out without killing each other, they took the chance and hired him. 3 years later we still work together happily. The great thing of it all? We can car pool, have lunch together and there's always someone there to get our lame jokes to help make it through the day. 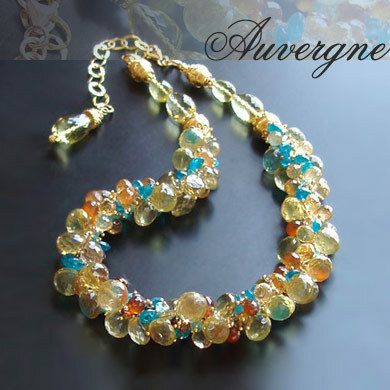 Auvergne is a beautiful necklace that was designed by Bijoux d'Odalisque. It's a part of The Luxe Collection, which is available online. The candy-colored gemstones makes this sweetness for your neck. Holly has an amazing gift. 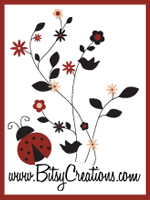 She creates pieces that will have you in awe and make you want to buy one to feel like a million bucks. Beautiful jewelry will no doubt help make you feel beautiful. You can view Holly's entire collection here. You're REALLY going to enjoy it and it's definitely going to be time well spent. BTW...Her SOLD gallery will make your heart sing. Brianda, a self-proclaimed gem-aholic, believes you're never fully dressed without the right accessories. Wouldn't you agree? Over at No Naked Necks you'll find more than just accessories for your necks. 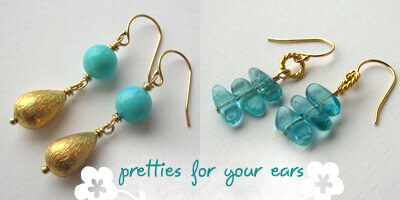 You will find pretties for your ears as well. I found two pair of earrings...both one-of-a-kind! Don't you just love them? View closeups here and here. 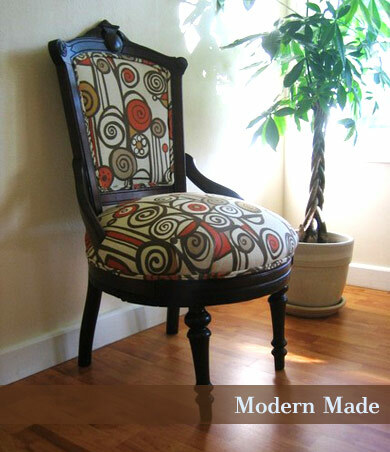 SPRUCE, a design studio based in Austin, TX is where this antique chair was birth into something modern. The owners, Amanda and Lizzie, bought the chair from an old man, covered it with modern fabric, and made something that catches the eye for sure. 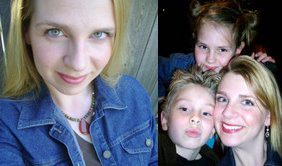 If you're an Indie Momma, you could be featured on our blog for our Mother's Day feature. 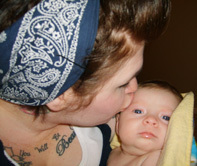 We're looking for 18 moms who are willing to have their photos posted. 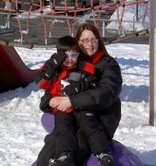 + Moms must also include one FUN fact about themselves. Email me at nolestyleandbeauty@gmail.com if interested in participating.